Figure 3-11. 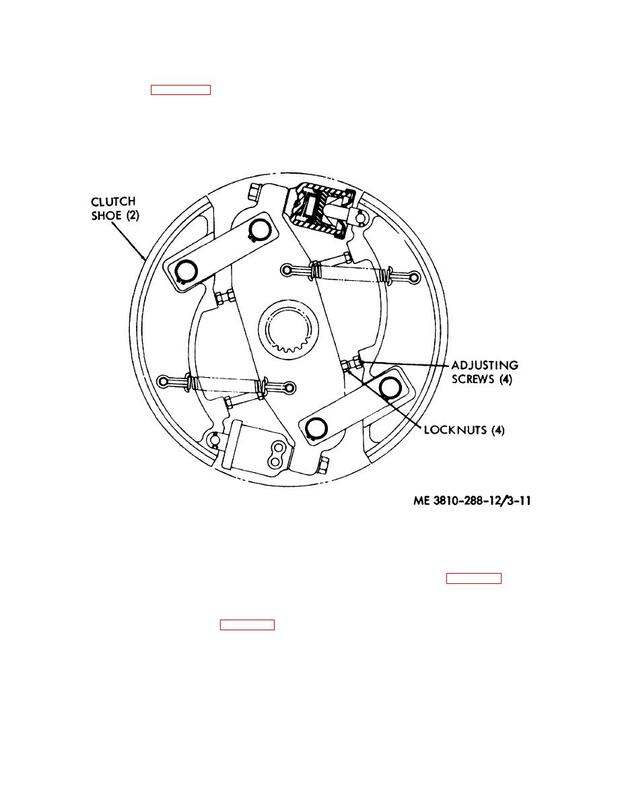 Adjusting reversing shaft clutch or horizontal swing shaft clutch. Figure 3-10. Adjusting boom hoist clutch. Figure 3-12. Adjusting front and rear drum brakes. LOOSEN LOCKNUTS ON ADJUSTING SCREWS. REFER TO Figure 2-36 AND ENGAGE THE SWING CLUTCH LEVER. CLUTCH SHOES DO NOT DRAG. cleaning is required for control levers or pedals. brake adjustment. Refer to figure 3-15. Lubricate in accordance with the lubrication order. control levers and pedals, as illustrated in figure 3-16.